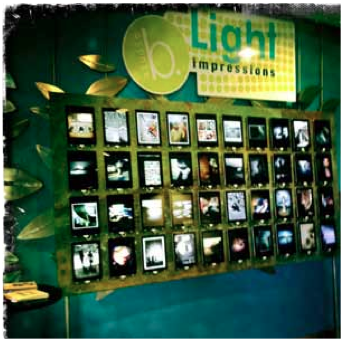 Studio b. and its signature work, Light Impressions has been invited to the LA Mobile Arts Festival 2012. 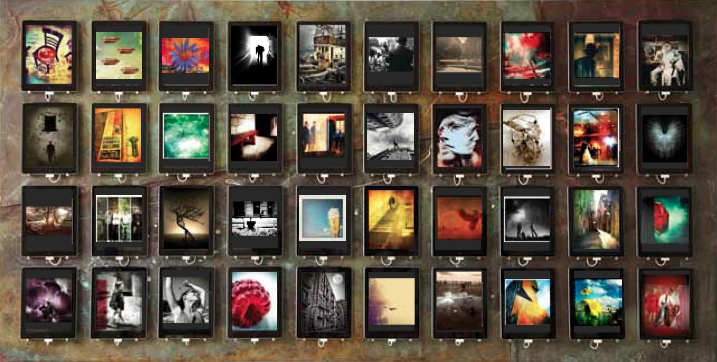 Light Impressions is a mind-bending, first-of-its-kind art installation of 40 iPhoneographers and 520 images from 10 countries around the globe. Thousands of dollars worth of iPads, mounted on a rooftop rescued from a Florida hurricane, sporting a uniquely personal collection of digital imagery. LA-MAF will feature two Studio b. creations: Light Impressions, a multinational installation that has toured internationally, and The Mobile Art Chandelier, Studio b.’s creative camera phone chandelier. Based in Florida, Studio b. personifies the early days of the mobile art movement. Founder and curator Colleen Duffley comes from a background in commercial photography and advertising. But she was an early convert to mobile photography. LA-MAF will present 8 days of mobile artistry at the Santa Monica Art Studios, an historic airplane hangar turned cutting-edge arts community, located close to Silicone Beach, a new mecca for mobile technology development. The exhibition will bring together art and technology in new and innovative ways, a culmination of the first few years of the growing field of mobile art. 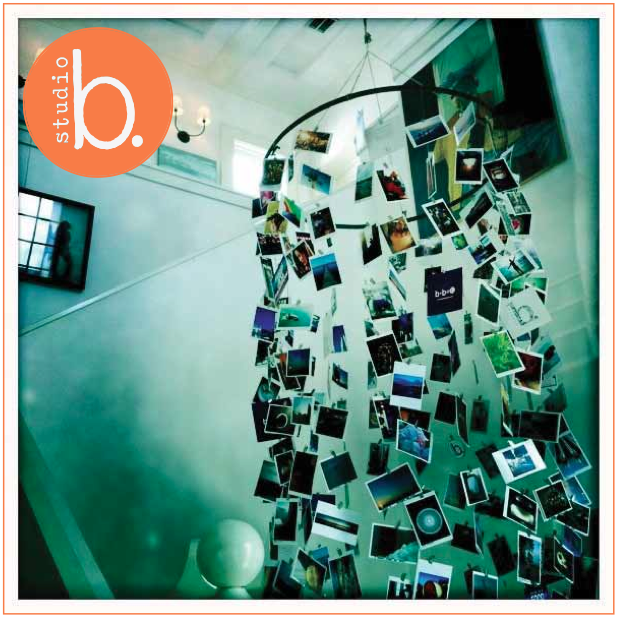 Studio b. is a creative venue that brings together the best of the best and the up-and-coming in the fields of photography, art, literature, fashion, design, music and the culinary arts, placing a special emphasis on the mixing and intermingling of all creative mediums and the ongoing educational process for all artists and students. With high-profile events, seminars, classes and informative lectures by talented pros from around the world, it is Studio b.’s commitment to offer a state-of-the-art and inspirational learning environment designed to educate, inspire and cultivate an artistic community along Florida’s beautiful Emerald Coast. Apart from its home-base initiatives, Studio b. also coordinates, hosts and co-sponsors spectacular events elsewhere throughout the U.S. and around the world.